The animated ad film takes the viewer through a sailor's eventful journey of hope symbolised by a paper boat. Childhood is that one phase of our lives which we look back upon with fond memories. And, what do those memories do at best - make us time travel instantly into the kingdom of nostalgia! Hinged upon a similar insight is Paper Boat's latest digital film, Hope, the Boat, conceptualised and executed by Humour Me, a branded entertainment company. The film, over a course of around four-and-a-half minutes, takes the viewer through a journey of hope and dream metaphorically through a paper boat. There`s this sailor boy who sits at his desk one day wistfully looking at a picture of a ship that has written on it `The great Indian Cruise`. At that moment a paper comes flying which the boy turns into a paper boat and sets it sail along the roadside water stream. The paper boat is carried through a journey that faces several obstacles but eventually lands up in the sea where it sees the boy on the ship in the picture ready for the `Great Indian Cruise`. The film ends with the message, 'Every dream is a journey. May your Paper Boat carry you far. ', along with a product shot of Paper Boat's 'aamras' flavour. Commenting on the film, Dhruv Sachdeva, founder-director, Humour Me, says, "Hope, the Boat was Humour Me`s creative endeavour to bring the brand Paper Boat alive (literally) in the minds of its audiences. 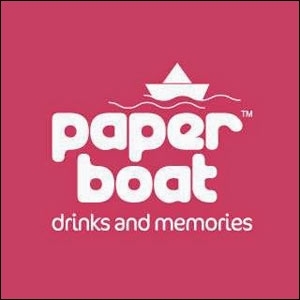 Rooted in Indian tradition, the paper boat has always been the object of people`s purest adulation and a symbol of their most innocent dreams. Nearly 75 days, 40,000GB of data, and 79,000 machine hours went into the making of Hope, the Boat - our first-ever 3D animated short film." Sachdeva further adds that with each new generation, the tradition of making a paper boat is no longer as popular. "And, what better to bring back people`s love for it than an animated short film that could create a character so lovable. Our character `Hope` hiccups to life and we look at the world through the ultimate lens of innocence and imagination, a world where anything was possible, and we weren`t tainted by experience," he says. According to Sachdeva, animated characters have a way of winning our unconditional support, and by doing so, we would actually be creating a real emotional transaction between the brand and its consumers. "The idea was simplicity at its best. Can the brand forever represent the voyage of our own dreams?" asks Sachdeva. Expressing his thoughts on the film, Neeraj Kakkar, co-founder and chief executive officer (CEO), Hector Beverages, shares, "When the whiff of rain came calling, we`d take out the last page of our rough notebooks to fold up... a paper boat. We'd set it off downstream with our hopes and prayers that the boat goes far and touches that place where the sea meets the sky. So today, with trembling fingers, we present to you our journey aboard this little carrier of dreams. Meet Hope, the Boat." The film has been directed by Sachdeva and Clifford Afonso, both of whom, along with Aradhana Mathews have written the screenplay, with Mathews having composed the sound score. Vrinda Sood is the animation project lead of Zero Gravity Filmz that has contributed to the animation direction of the film. The art direction has been handled by Tanvi Gandhi and Afonso while Clayton Dmello and Varun Nair have worked on character design and illustration. Dmello has also done the environment illustration for the film. Paperboat's Neeraj Kakkar on new ad film 'Rizwan': "We were careful not to overdo it"